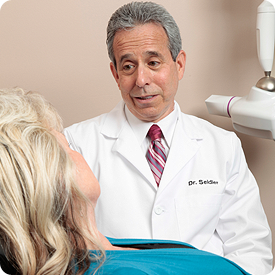 At Sanford Dental Excellence, our highly experienced and skilled dentists, Dr. George Mitrogogos and Dr. Stephen Seidler are passionate about providing gentle, state-of-the-art rehabilitative dentistry for our mature adult patients. From computerized dental implant placement and sedation dentistry to metal-free restorations, we look after your smile as if it were our own. Each of our team members are happy to bend over backward to ensure your comfort, contentment, and confidence in our services. What can we do to help you get your smile back? Dr. George Mitrogogos utilizes his advanced training and experience to treat even the most challenging dental situations. His commitment to “doing it right” and ability to “handle just about anything” has won him the admiration of patients and other doctors. A big bonus is that Dr. Mitrogogos uses his expertise to prevent problems from ever happening! Dr. George Mitrogogos was born and raised in Orlando, FL. He graduated with honors from the University of South Florida and was awarded a scholarship from the U.S. Army to attend Dental School. 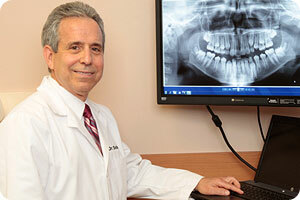 In 2012 he earned his Doctorate in Dental Medicine from Tufts University School of Dental Medicine in Boston, MA. During his junior and senior years in Dental School Dr. Mitrogogos received multiple awards for displaying clinical excellence in reconstructive prosthodontics. Dr. Mitrogogos served as a General Dentist for the U.S Army where he performed all aspects of dentistry with a special emphasis on cosmetics. During his first year in the Army, he completed a 12-month Advanced Education in General Dentistry and graduated with honors from this program. Throughout his advanced training he became proficient in cosmetics, CAD/CAM technology, implants, sedation, endodontics, prosthodontics and periodontics. An intensive course in Advanced Dental I.V. Sedation techniques at the University of Alabama, allowing him to alleviate patient fears and anxieties during dental treatment. A year-long Misch International Implant Institute course, one of the most advanced surgical implant training programs in the nation. Years of advanced training in Mini Dental Implants. Dr. Mitrogogos has completed over 800 hours of dental continuing education to stay abreast with all advances in dentistry. It is because of his ongoing dedication to improvement and growth in a variety of technologies, treatments, and procedures that he is able to provide his patients with the most modern, efficient, and effective cosmetic dental care available. 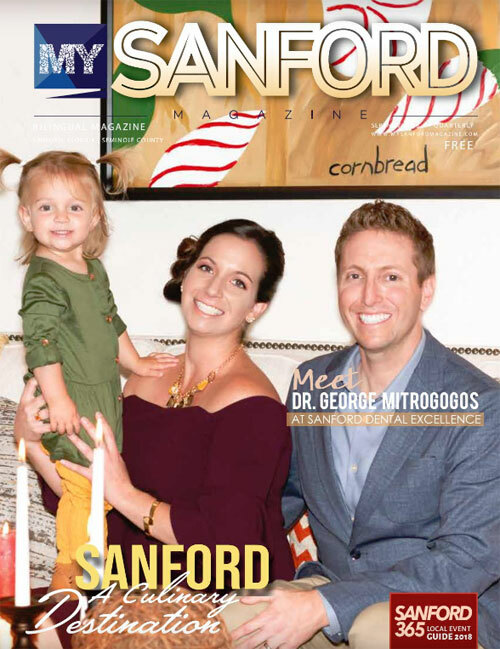 Since 2017 when Dr. Mitrogogos joined Dr Seidler, he has had the privilege of working with the friendly and compassionate team at Sanford Dental Excellence. They are known for their down to earth and non-technical communication style making complex dentistry easy to understand. The entire team is passionate about providing gentle, state-of-the-art rehabilitative dentistry for our mature adult patients. From computerized dental implant placement and sedation dentistry to metal-free restorations, we look after your smile as if it were our own. This leading-edge practice is now proudly owned by Dr Mitrogogos. Away from the office, Dr. Mitrogogos enjoys running, playing racquetball, boating and spending time with his wife and daughter. Continuing his dedication for excellence in dentistry, Dr. Mitrogogos received the Fellowship Award from the Academy of General Dentistry (AGD). Less than 5% of General Dentists in the United States and Canada have earned this prestigious award. Awarded Best Sanford Dentist in 2018 by My Sanford Magazine. If you’re looking for a caring, experienced and well-qualified dentist, Dr. Stephen Seidler meets those qualifications. As a fellow of the Academy of General Dentistry, he has accumulated over 2000 hours in continuing education. He also has more than 30 years of experience in dentistry and has had the privilege of treating many loyal, happy patients. While new to the Sanford Area, Dr. Seidler is a long-time resident of Lake Mary and has practiced dentistry in Central Florida for more than 30 years. Graduated from Georgetown University Dental School in Washington, DC , 1979. Dr. Seidler’s continuing education includes advanced study on implants, operative dentistry, crown and bridge dentistry, cosmetic dentistry, dentures, orthodontics, endodontics, periodontics, oral and IV sedation, and sleep disorder dentistry. In recognition of taking courses far in excess of what is required, he was awarded a fellowship with the Academy of General Dentistry, an honor less than 5% of US dentists have achieved. Dr. Seidler is married and has 3 children. He enjoys tennis, traveling and spending time with his family. His personal philosophy is to provide gentle dental care at the highest level of quality that is humanly possible in an atmosphere of genuine caring and kindness. He strives to educate each and every patient on the best ways to keep their natural teeth for a lifetime. His goal is to become a positive source of influence for his patients, his family, his profession, and his community.